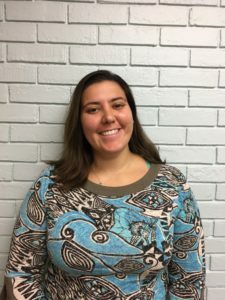 Dr. Devon Wallace grew up far north of the Mason-Dixon line in Vermont before pursuing her undergraduate degree in Human Biology at Cornell University in upstate New York. After finally having enough of the cold and snow, Dr. Wallace came south to Virginia where she could pursue her Doctorate in Physical Therapy at Shenandoah University. As a physical therapist Dr. Wallace enthusiastically works as part of the Rapid Rehabilitation team to return patients to pain-free work and play through the use of her hands and exercises. She has a particular interest in pediatrics, athletes and in patients with special needs. Dr. Wallace is certified in the SASTM technique and is pursuing her certification in dry needling. In 2017 she and her husband moved to the Winchester area, where they live with their rescue lab-husky mix Hank. In her free time, Dr. Wallace loves crafting, volunteering with special needs groups, hiking with Hank in the Shenandoah National park, and training for competitions as a US Masters swimmer.